As part of the media partnership with the Asian Intercultural Theatre Conference that will be organised on 25-28 November in Singapore, ASEF culture360 has interviewed the director and co-founder of the Intercultural Theatre Institute (ITI), T. Sasitharan. A Singapore Cultural Medallion recipient, Sasi is well recognised as an educator, theatre artist, cultural critic and arts advocate. His thought leadership on arts and culture has made a wide impact on the larger community. 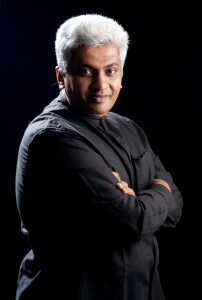 We have asked him about the upcoming conference and the evolving contemporary theatre scene in Singapore and the region. Where does the need for such a conference originate from and who does it aim to benefit? It’s part of the mandate of Intercultural Theatre Institute (ITI) to research and reflect upon the processes and practices of the kind of theatre we teach. When the subject is as complex and protean as Intercultural Theatre and Intercultural Actor Training, any new knowledge or understanding that may be gleaned will need more time specific conditions to emerge and to be expressed. 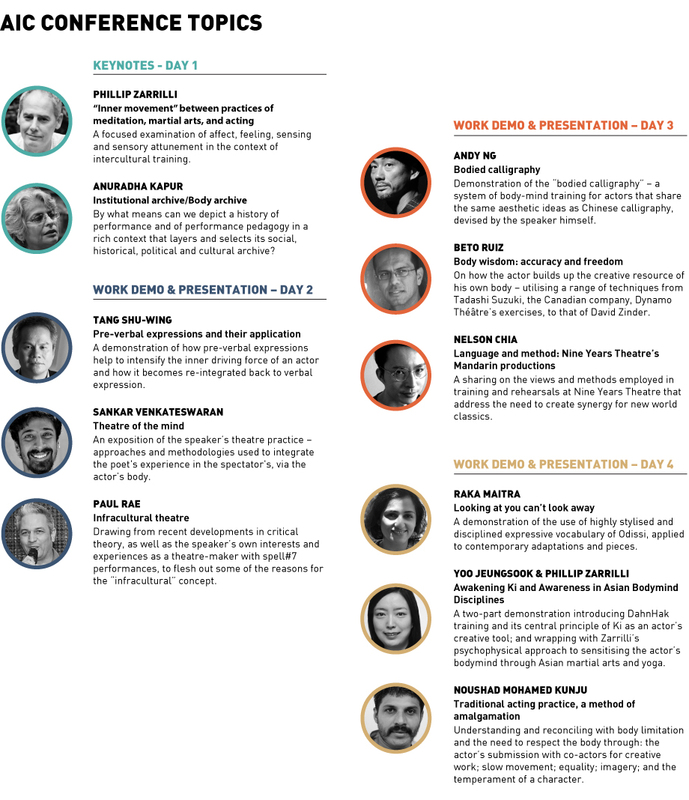 The Asian Intercultural Conference (AIC), which happens once in three years, enables the time and conditions necessary for teachers, students and collaborators to share and critically assess emergent data and information on the approaches, methods and pedagogies of Intercultural Theatre work and actor training in particular. You will note that AIC 2014 focuses on the practical, with the emphasis placed firmly on demonstrations and presentations of techniques, skills and the craft of acting, directing and dramaturgy. The theoretical is present only tangentially. AIC 2014 would benefit not only those interested in the practice and performance of theatre, across a range of genres, but also those with different theatre specialisations from the actor-performer to the director, writer and dramaturge. The circle of benefit could well be extended to include professional theatre critics, writers, theatre scholars and drama teachers and students. Can you tell us more about the topics that will be discussed and the format of the conference? Please refer to the conference topics below. The conference is divided into keynote sessions on the first day, work demonstrations and presentations through Days 2 – 4, with plenary discussions that round up each day. What kind of audiences are you hoping to involve other than theatre practitioners and from what regions? Other than the groups mentioned in Q1 above, I am hoping that lay people who make up the theatre-going public with an informed interest in theatre and scholars of performance theory in domains other than theatre, like sociology, anthropology and critical studies, may also be interested in getting a rare peek into the practice and studio-floor realities of working interculturally. I have the highest expectations of gaining valuable insight into the techniques and approaches used by former ITI students and other practitioners working within the domain of intercultural theatre. This is the kind of insight that is usually unavailable when we watch public stagings of theatre. These are the secret and private processes of making theatre which are only revealed to those who are party to the rehearsal and training processes preceding public performances. Since the first Intercultural Theatre Conference in 2008, what has changed in the contemporary theatre scene in Singapore and in the region? Since the first AIC in 2008, there has been, both at home and in the region, a growing awareness and acknowledgement of the “intercultural” as a phenomenon in its own right of cognition, perception and interaction in theatre practice. That is to say, that the intercultural is distinct and different, for instance, from the “multicultural”, “cosmopolitan” or “global” as a descriptor of a mode of practice in making and showing theatre. This is not merely a matter of labelling or semantics. It reflects a deeper and more nuanced understanding of the conditions, contexts, manners and qualities of the contacts, sharings, interactions and transmissions that take place on the studio floor and on the stage where intercultural theatre work is made and shown.